It is important for people of all ages to visit their eye doctor on a regular basis. Those in Apex, NC will find a trip to their local Clarity Vision eye care center to be a rewarding experience for every member of the family from the smallest child to the oldest adult. While it’s advisable to drop by the eye care center every year, there are guidelines to follow for each age range. Take note of these to make sure that the vision of each family member is in the best condition. When your vision is no longer as good as it once was, it’s better you start wearing glasses. Prescription lenses can go a long way in helping correct your vision problems. That said, patients oftentimes don’t realize that the issues with their vision require wearing corrective lenses. Because of this, the problem gets worse and it becomes harder and harder for them to read things off the screen or even spot objects around them. According to the National Eye Institute, cataracts remain as the most prevalent eye problem in the United States. Surprisingly, though, the second place was taken by diabetic retinopathy, with over 7.7 million Americans suffering from this condition. This could only indicate that our eyes can be a diagnostic tool for other systemic diseases. Of course, this is not easy to do and further examinations will be needed before establishing the correct final diagnosis. Below are some of the diseases that your eye doctorcan diagnose through an eye examination. From the moment you wake up, you start to rely on your eyes to be able to do everything for the rest of the day. Aside from your limbs, it is your eyes that allow you to be truly mobile. Good vision is one of the most important senses we have. Unfortunately, it is also one of the senses many people take for granted. In fact, a study from the American Academy of Ophthalmology states that more than 2.9 million Americans suffer from low vision. Over 50 million more suffer from refractive errors and/or eye diseases. Keratoconus is a non-inflammatory, progressive eye condition where the cornea, which is typically dome-shaped, thins and bulges out. The cornea is important to normal vision. Light enters into the eyes through the cornea, which refracts it in order for people to see clearly. Keratoconus distorts the cornea, affecting vision and making activities, such as reading, driving, and watching television difficult. An eye care center in Apex, NC provides different treatment methods to keratoconus. The exact incidence of keratoconus is undetermined. It is uncommon, but not necessarily rare, as it is estimated to affect 1 out of every 2,000 people. An eye doctor can diagnose young people with keratoconus in their puberty or late teenage years. It affects people from all over America and the world. Keratoconus may be genetic too. If a patient has children, he/she should have their eyes checked as early as the age 10. Although old age can be a contributing factor to deteriorating eyesight, it is not uncommon to see young adults and kids suffering from different eye problems. The causes might be different but their effects are the same – poor vision that affects an individual’s overall performance. Considered as the most common vision problem, a refractive error can be classified as either farsightedness (hyperopia), nearsightedness (myopia), astigmatism, or presbyopia. Each of these refraction errors are caused by the way the incoming light is bent as it passes through the cornea and lens for the image to focus on the retina and for relay to the brain through the optic nerves. If there are problems with the eyeball’s length, the cornea’s shape, or the age of the lens, refractive errors may result. Read more on this article http://bit.ly/2kMTMTx. Here’s an oft-repeated yet oft-ignored fact: one in three people over the age of 65 have impaired vision. Once you’ve reached this age, it’s important to be aware that you’re more likely to develop eye issues than younger people. These issues may include cataracts, glaucoma and macular degeneration. But there are indicators and symptoms for eye conditions so you know what to watch out for. 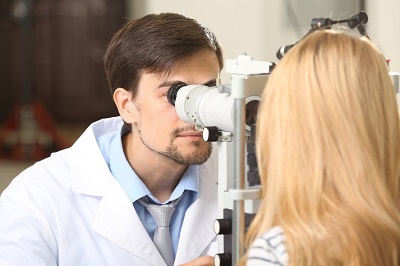 It’s important to receive diagnosis and treatment from an optometrist for these conditions. Schedule regular visits to your eye care center and let your doctor know about any issues you’ve been experiencing. Nobody likes a scratchy or gritty sensation in the eyes. This sensation is most likely due to dry eye syndrome, which is an uncomfortable condition that occurs when you don’t produce enough tears to keep your eyes lubricated, keeping you from naturally removing irritants from your eyes. Currently, it affects an estimated 4.88 million Americans. The good news is there are many ways to treat and prevent dry eye syndrome. Fortunately, our eye doctors in Apex, NC can tell you everything you need to know about this condition. If you find yourself squinting a lot more often, if you find reading a bit of a challenge, or if you feel like you constantly have eyestrain, then you may be a candidate for astigmatism. This is an eye condition that you should address as soon as possible because it can also lead to severe headaches, distorted or blurred vision, and also difficulty in night driving.